We’d love your help. 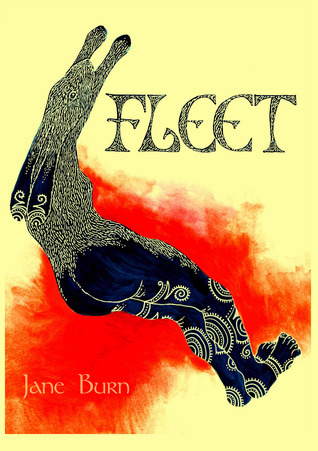 Let us know what’s wrong with this preview of Fleet by Jane Burn. "Fleet is a ‘weltersong' of desire and otherness. An epic saga of shapeshifting enchantment and an all too familiar drama of longing, banishment, abuse, survival and love. Jane Burn brings her unique vision, wild wordplay and stunning image-making to the evocation of the folklore of the Witch-Hare, and the voices of Motherdoe, Fleet and Daughterhare with the full force of "Fleet is a ‘weltersong' of desire and otherness. An epic saga of shapeshifting enchantment and an all too familiar drama of longing, banishment, abuse, survival and love. Jane Burn brings her unique vision, wild wordplay and stunning image-making to the evocation of the folklore of the Witch-Hare, and the voices of Motherdoe, Fleet and Daughterhare with the full force of mythic tragedy and Ovidian metamorphosis." To ask other readers questions about Fleet, please sign up. My copy only arrived a little while ago earlier today, and once I started reading, I couldn't stop. My first full read will be one of many so I can properly soak in the wonder of the language and the story and all the meanings running through this book. It is magical, resonant, heartfelt and very powerfully evocative of both its physical and emotional environments. Yet another amazing work from the very talented Jane Burn (and check out the beautiful images she has created to present with it).